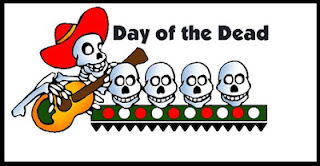 I have found that any student, no matter their heritage, enjoys learning about and celebrating the Day of the Dead holiday in class. I have celebrated Day of the Dead in my classroom in a few ways. I showed students a PowerPoint presentation on the Day of the Dead and we created some skull sculptures using wire. Then, in a few classes my students are making sugar skulls since they are an easy non-bake project that I can do in my classroom. 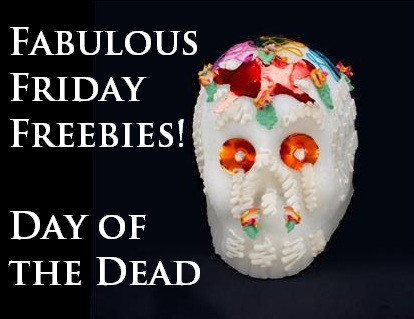 Since this week is the celebration of the Day of the Dead, here are some fun freebies you can use in your classroom to celebrate the Day of the Dead. Note: You do not only have to celebrate Day of the Dead during its official time. Students really enjoy learning about this holiday at any time of the year! 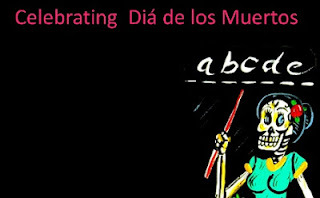 This website has a wide range of Day of the Dead activities compiled for teachers. 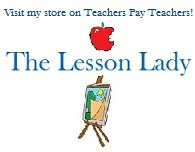 There are links to free PowerPoint slideshows, mini packets, education units, and art activities. 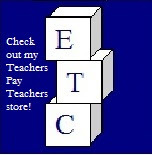 They have done the work for you researching various sites and compiled them in one easy to use list. Although there are a few grammatical errors in this free PowerPoint, I have used it multiple times with various classes to introduce the Day of the Dead.﻿ This PowerPoint contains a lot of relevant information with an enormous amount of photos that makes it easy to teach students about the basics of the Day of the Dead. I highly recommend it! 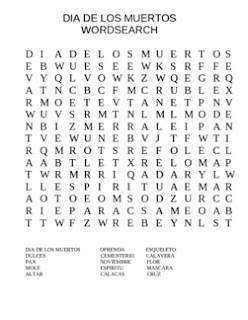 My partner in blogging Etc offers a free Day of the Dead word search puzzle that is a sample from her fall packet. You could use this as a fun activity for fast/early finishers in your classroom.